“Clothes with emotion”, this is what Lucas Ossendrijver was seeking in this collection. So, for the s/s 2009, he played with volumes and genders (yes, he did it in 2009 – even though the ambiguous vein was already a signature of Lanvin’s menswear): pleates, ruches, elastics, sinuous fabrics, big vs. narrow volumes, beaded tees. 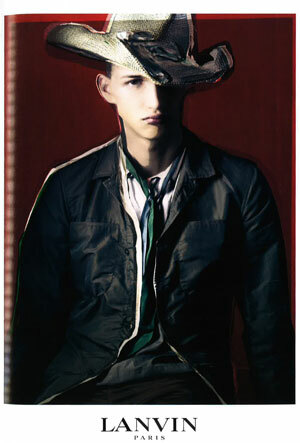 It was the spring/summer 2002 season, the second one by Hedi Slimane. 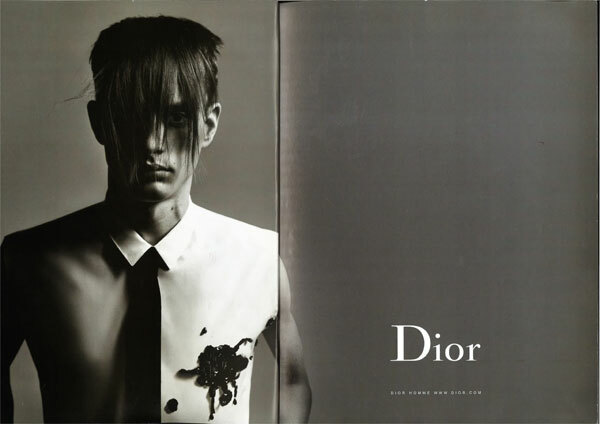 Under Slimane’s creative direction, Dior Homme has introduced a characteristic slim silhouette which has since taken off within the fashion industry. 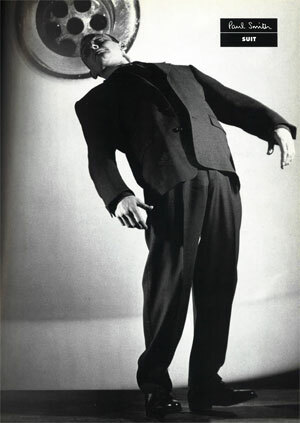 An unusual black and white for a designer that made the color (and colored stripes, even only for details) his distinguishing feature; a b/w that represents that line called, in the early Nineties, “Suit”: formal, tailored, but with that touch of extravagance emphasized by the pose and the point of view. 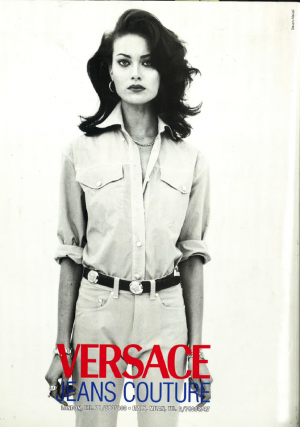 So Nineties: the mood, the attitude, the silhouette, the sunglasses. 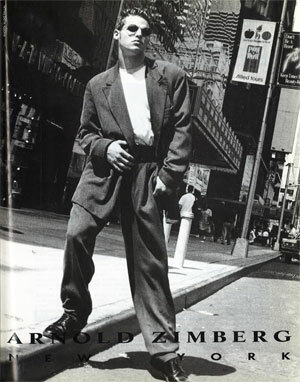 The 1995 advertising campaign of Arnold Zimberg New York shot by Aldo Fallai.